I’m a lipstick girl; I love experimenting with bright, bold colors and love to try new lip products. I prefer long-wear lipsticks and colors that stay on my lips and don’t transfer everywhere else. I was excited to try out Beautycounter’s new lip sheers, but at the same time a little hesitant. I mean, how good could a lipstick that is natural and gluten-free be? Lets first start with the gorgeous packaging! These gold tubes are so luxe and rival YSL lipstick tubes. The colors are really great seasonal colors, ranging from a very soft pink to a deep burgundy. A tube of gloss also comes with the set. I’m definitely not into lip gloss, but I had to try it just to compare with other glosses I have used in the past. I’ve been using the lip sheers for a few weeks, and to my surprise I really like them. The lip sheers smell delicious! A yummy vanilla fragrance erupts from the tube the minute you open it. The applicator is designed in an easy-to-use tube that you can turn up and down. The lip sheers go on easy like a chapstick. The colors don’t go on as bold as they look—so don’t be afraid to try the darker colors. The gloss is nice and works just like other glosses. It gives a beautiful shine to the lip sheers. The longevity of the color is average. I found myself re-applying several times a day, but I also drink lots of water so my lips are constantly in contact with things. I definitely didn’t mind re-applying because the Beautycounter product smells so good and kept my lips nice and soft. 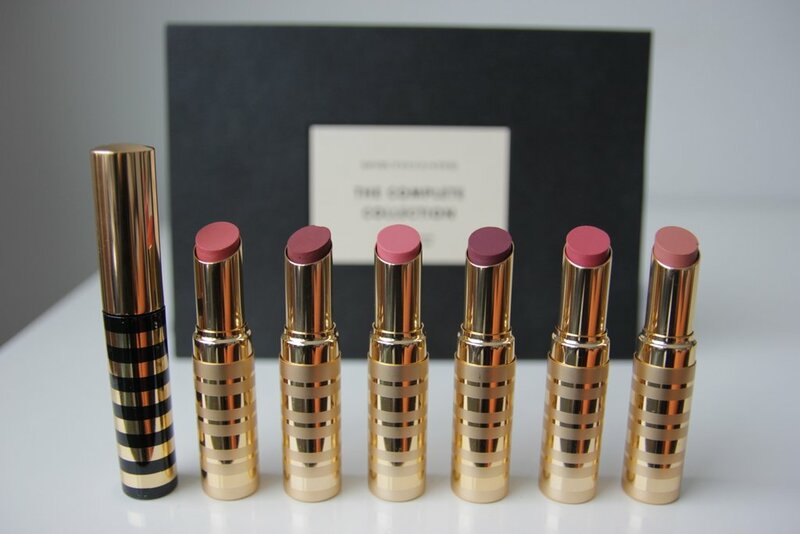 If you are really into vegan, natural products, you will definitely love Beautycounter’s Lip Sheers. Because they lack all the bad chemicals, you won’t get the long-wear of non-natural lipsticks, but the colors are beautiful and the lip sheers definitely leave your lips nice and soft. I hope Beautycounter develops more lip products in different colors and of course, I can’t wait to try out their makeup when it comes out! I am giving Beautycounter Lip Sheers 2 Paws Up for passing my standards, and another 2 Paws Up for being a “clean” product. Enter your email address to follow Purrfectly Beautiful and receive notifications of new posts by email.